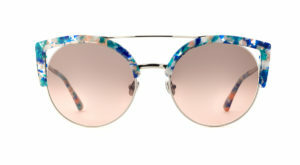 2019 eyeglass and sunglass trends! With winter still in full force and that flexible spending money burning a hole in your pocket you might be ready for a new pair but not sure what’s going to work for you. We’re here to help! Enjoy this post about what’s cool and what’s hot for 2019. 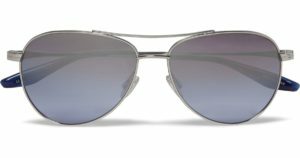 A timeless classic (think Tom Cruise in Top Gun) the aviator has been elevated to many different styles, shapes and colors through the years and is back full force for winter. 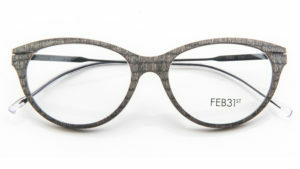 What we love most about this versatile trend is that not only is it great for regular glasses and sunglasses but the frames tend to be super lightweight and durable! The double bridge elevates an otherwise tame frame option. One of our favorite trends both on the runway as well as when we roam through the city is seeing more futuristic looking sunglasses. 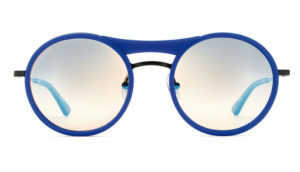 We’re loving the bold, electric colors of frames and the oil-slicked mirrors on sunglasses. 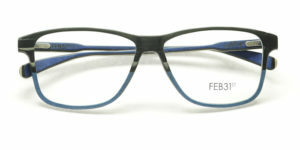 The shapes have taken off as well, from chunky bright acetate to thin metallic frames in geometric shapes. Seeing the frames paired with street wear fashion is an exciting trend we’re looking forward to seeing more of in 2019. 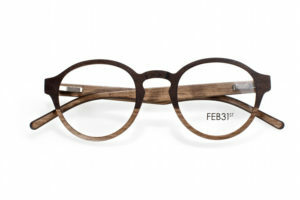 When the cold winter air is blowing and we’re not feeling very creative or imaginative these wooden frames by Feb31st are sure to perk us up. Handcrafted in Italy and customizable in size and most importantly color this trend will brighten you up in the winter months but translate well into the spring and summer of 2019. We hope that you found something new, different and exciting to peak your interest while you contemplate your next pair for 2019. As always we’d love to see you in the store and meet you face to face! You’re welcome any time but always feel free to use our Book Appointment tab here on the website to schedule a frame fitting with one of our talented stylists!